La Quinta has apparently updated their app and made it better. 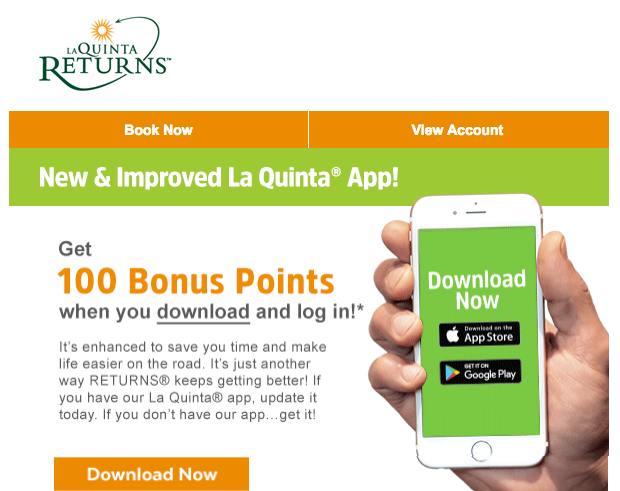 To entice you to try it out they are offering 100 FREE La Quinta Returns points for simply downloading the app and logging into your account via the app. A nice little Christmas present from LQ!